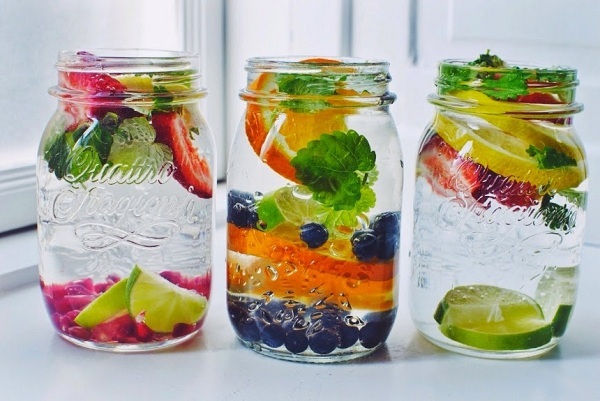 A glass of water is the best surprise for your body. It can be even more powerful when combined with some spices with strong healing properties. And it is simple as that! This is the easiest recipe for a healthy drink that will boost your digestion and detoxify your body. Drink this powerful elixir throughout the whole day. Lemon and lime are high in vitamin C. This vitamin is considered as an important antioxidant that neutralizes free radicals, cleanses the body and improves food digestion. Add some lemon or lime juice to a glass of water. For centuries people have used ginger to treat cramps, nausea, flatulence, and indigestion. Ginger improves the blood flow, and has strong anti-inflammatory and antiviral properties. Chop some ginger (a thumb-sized piece) and add it to the water. Drink the water, and make sure you eat the ginger cubes as well, just be careful, as it has strong flavor. Add some cucumber slices to your water and enjoy its fresh taste. This drink will stimulate the elimination of any by-product from the food digestion. Eat the slices as well, because cucumber is rich in antioxidants and fiber. It is an excellent remedy for viruses. It improves food digestion and regulates blood sugar levels. Regular consumption of cinnamon does miracles in the fat-burning process. Add a piece of cinnamon stick to a glass of water, and leave it in until the water is fully aromatized. Drink it during the whole day. You can grow mint in your home, either in a pot or in the garden. Always have some fresh mint on hand, because health experts confirmed that it relieves stomach ache, stimulates the salivary glands and contributes to a proper food digestion. Cloves are an excellent remedy for indigestion, and they eliminate parasites efficiently. Add 3-5 cloves to a glass of water and leave them in until they release some flavors. You can also eat the cloves, but be careful, as they have strong flavor.